Mystery Agent Contest on Monday!!! We have another awesome Mystery Agent Contest coming up this Monday, May 2nd! 2. Adult fiction or YA, any genre but our Mystery Agent is especially interested in mysteries, thrillers, paranormals, romances and suspense. 4. Three finalists will be chosen to submit 30 pages. From those 3 finalists, a grand prize winner will be selected to submit their FULL MANUSCRIPT! Thanks everyone!!! We'll see you back here bright and early on Monday morning. Contest will go live at 8am EST. As you know, today (roughly, with time changes) is Royal Wedding Day! Congratulations to Prince William and Duchess Catherine! It's a great time to celebrate. It got me thinking how much easier it is to celebrate other people's happiness and accomplishments than our own, which can seem so much less important, for whatever reason. For instance, with my own writing, I sometimes let my fears (links to Michelle's post about fears) of failure stop me from celebrating what are really pretty cool accomplishments! Today, I realized it's April. I mean, I knew it was April. I wrote it on a post office receipt when I was shipping the Princess for Hire series to Writer Tessa last week. But I forgot that it was a year from the time I started writing my first middle grade novel. Using that as a mile marker, I realized I've written two full novels within the past year: the MG boy adventure (which took me about 2 1/2 months to write and was SO much fun) and the YA fantasy I've just finished (which took me nearly 10 months and was like pulling teeth). Daydreaming is fun. But then again, maybe I should embrace what I've already accomplished. After all, I know it was hard to write these two books this past year. I know I had a lot of other things vying for my time, poop that needed cleaning up, and kids that wanted to learn to read. And in spite of the difficulty, I still did it. So I think I will celebrate. Just a little. Because, even though I know there's tons of work still ahead of me, I've reached every writing goal I set for myself last year. And with my first writing conference going down in SLC next weekend, this coming year promises to be filled with growth and excitement. Celebrate with me! Share your accomplishments below. Because we all deserve some confetti. Over on my personal blog, I belong to a Blog Chain (a group of writers who blog on the same topic once or twice a month and link to each other). I was recently going back over some old posts and came across one whose topic has been on my mind a lot lately. I'm currently in the process of rewriting the first novel I ever wrote. One thing I've needed to do is add a little more depth to my characters...make their hopes and fears more tangible, more a part of them and who they are, and above all, stay consistent to their inner selves. It got me thinking about the subject of fear and how I bring that to my characters. Fears are funny, I think. When it comes right down to it, all fears are internal. You may have a very good reason to fear something, (like fearing fast moving vehicles after being in a car accident), but the fear you feel is still based in your head. I had a nightmare once, when I was in my mid teens. I was in my room and a blinding white light was shining through my window - like someone had focused a spotlight on it. There was a man standing in my room, but he was made of shadow - black and sort of hazy. No features, just a black outline though it was solid. And red eyes. I've slept with a nightlight ever since. To this day. Even though I KNOW it was just a dream and there is nothing to fear...especially twenty years later. I also fear spiders, ghosts, enclosed spaces, heights and losing my loved ones. All of those fears are totally irrational, justified but unfixable, or unavoidable. I'm huge compared to a spider. I step on it and it dies. But I'll run if one is big enough. I generally stay out of my basement at night and never EVER watch or read ghost stories...esp at night (not even Ghostbusters - though one of my lovely crit partners writes very creepy stories so I've had to relax the ban a bit...I still only crit her stuff during the day though :D ). I avoid enclosed spaces and heights if at all possible and go to my happy place and breath deeply if I can't (no amount of exposing myself to such places has cured these fears). And I'm going to lose people I love. I already have. And I will again. Yet I fear it. I put these same fears into my characters. Sure I give them a real monster to fight- that's always fun. :) But those internal fears...now those are intense battles. I like to watch my characters conquer their fears. Sometimes it takes more than one try, but there is nothing more rewarding than beating a fear...even if it's only temporary. something else is more important than fear. I actually first heard that quote while watching The Princess Diaries :) But it's so true. I may fear a lot of things - but I can be courageous, no matter how bad my boots are shaking, when I need to be :) And I try to bring this to my characters. My current MC is terrified of losing control of her life. She goes to great lengths to be able to be queen of her world. So, when I need to amp up some conflict or torture her a bit, I play on those fears. I take away her control of the situation and watch what happens. Whenever I am writing with her, I try to keep her innermost fears in mind, because those are the things that ultimately drive her to do what she does. What are you afraid of? Do you bring your experience of fear to your characters? What are characters most afraid of? There's nothing scarier than the blank page. It's an ocean of white, waiting for the words to spread their tentacles of ink across its surface. It's also a canvas of possibilities. A vast nothing where an entire world of discovery waits. All we have to do is start. Don't worry about the perfect opening sentence. Don't sit and ponder if the adverb should be there or not. Just Write. Words are like clay. We can mould them to be whatever we choose. If we don't like what we've created, we can always start again. But starting is the key. A blank page will always be a blank page. Until you begin your journey with two words -- Chapter One. How do you like to begin a new WIP? So. I l-o-v-e-d reading the feedback on my strong female protagonist in YA post! I loved it so much, I figured it would be cool to talk about another hot topic: dudes. Along with wanting to see strong female protagonists, some agents/editors are eager for more male protagonists, especially in YA. Of course, there are great books out there with boy protags (John Green, anyone? ), but it seems as if girls are EVERYWHERE. "Bella, you are my everything. Seriously. I am nothing without you. Oh, hang on... WHO IS THAT SHIRTLESS GUY BEHIND YOU?" --Edward Cullen, Twilight. Reminder: There's still time to enter the Invincible Summer contest!! You can win a copy of Hannah Moskowitz's latest book, as well as one of three signed bookmarks! Congratulations, Tessa! I'll be emailing you to get your shipping addy. I'm excited for you because I LOVED these books. For those of you who missed my double review, check it out here. I enjoyed reading your answers to the question, which fiction or real royalty would you be for the day? They were pretty much what I expected (Kate Middleton, Princess Di, and Paris Hilton). This is further proof that, like me, you guys need these books to get a glimpse of royalty outside of Hollywood and England. Amazon princess? Check. Obscure country in Europe? Check. You're going to have so much fun reading these! The Royal Treatment comes out officially on May 3rd. Thanks for sharing your thoughts and blog/tweeting the giveaway! p.s. Linsey Leavitt, the wonderful author of these books, has agreed to an interview with Operation Awesome, so look for that in the near future. I like bookshops. I like online bookshops as well, but I sometimes get annoyed with the delayed gratification of not taking the book/s home right then! But the other thing I love about my local bookstore? I have a loyalty card that gives me points to buy more books. It's also (when it isn't the Easter holidays) peaceful. I can browse the shelves and time seems to slow. The spines whisper and vie for my attention. "Take us home. Read us. Love us. Let us inspire you." I get the same feeling when I walk into the library. The stacks hold promised tomes that wait to be uncovered like the treasures of Egypt. Only without the rumours of curses... A nightmare about a killer book monster coming after me would not be fun. A good story idea, but not fun. What is it about the power of books? Words on a page inspire us. They make us think. Encourage us to be creative in subtle ways. They feed our imaginations and draw us into other worlds/situations. No wonder we all strive to recreate the same feelings within our own manuscripts. P.S. Don't forget to check out the Invincible Summer signed book/bookmark contest (ends May 2nd). And there is still chance to enter The Princess For Hire contest (ends April 21st). Go forth and possibly win awesome books. 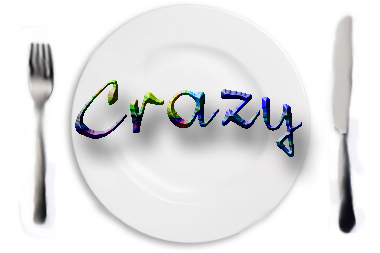 When Life Gives You a Plate Full of Crazy. So the month of April always seems to be extra busy for me most years. Being a mom of school-aged children, April always seems to be packed to the brim with extra activities. Extra dance practices and recital. School Field Trips. Band Concerts. Dentist Appointments. Piano recitals. And many many others. So I'm finding it difficult to get my writing and editing done as well as I normally do. Using a notebook and sneaking in some writing when I'm out and about seems to be about one of the only ways I've been able to fit that in. What are your writing secrets when life gives you a plate full of crazy? Hannah Moskowitz's INVINCIBLE SUMMER + Signed Bookmarks GIVEAWAY!! Check out the giveaway here! So. Today we have another giveaway for you, folks. Yes, I did say another giveaway. You are not hallucinating. Why? Because we love you THIS MUCH. After I wrote my review of the book, I took a blood oath with the OA ladies that I'd give a copy to one of our followers (no animals were harmed in the making of that blood oath...). Then Hannah sent me something so cool, I just couldn't stop at a book giveaway. And not only do they have the Invincible Summer cover on them, but they also have the cover for Hannah's other amazing YA novel, Break, on the opposite side. The contest will run till May 2nd, so you'll have two full weeks to enter! Lindsey Leavitt is a delightful, fun-making genius! I haven't had this much fun since I read Ally Carter's Gallagher Girls series. In fact, these two series share a few traits, making it easy for fans of one to pick up the other with confidence. 6) Plenty of reasons to cheer! Princess for Hire starts off the planned series with a POP. A bubble pop. That's the way Desi's talent agent gets around--in a magical bubble. And the talent Desi didn't know she had? Magic! What girl doesn't wish she could be princess for a day? Desi signs up for the seemingly glamorous job of substituting for modern day princesses in much need of a vacation. But she really has no idea what she's getting herself into. Through pretending to be somebody else, Desi discovers who she really is--that she's a girl with impact, like Grace Kelly in Casablanca or Audrey Hepburn in Roman Holiday. Desi is only thirteen, on the young side for YA, but as the book explains, people with MP (magic potential) tend to be mature for their age. Still, she struggles with bad hair days, armpit sweat circles, and unrequited crushes. She's an every girl. At thirteen, I would've escaped happily into Desi's world and learned a few things about myself right along with Desi. I'm sure girls of all ages will eat up the magical escapism and relate to the real life, day-to-day to which Desi must always inevitably return. 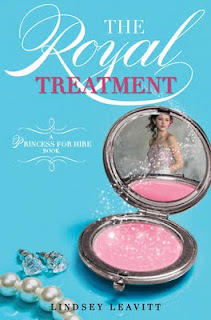 The Royal Treatment continues the series with a fabulous new development! No spoilers here, but I'll just say that it gave me more than one reason to cheer. Only a few months have passed since Princess for Hire and Desi still has her braces on, but she's not the same girl who jumped out of the bathtub, screaming at a rogue bubble. She's learned how to make an impact and she's eager to take her do-gooder-ing to the next level. I loved Lindsey Leavitt's sometimes bizarre settings, and words like 'technomagical.' The world building is pure delight. Another thing I loved was the characterizations. Desi's best friend, Kylee, is especially multi-dimensional. And I appreciated that Desi never backtracked. That is, the lessons she learned from mistakes in the first book stuck, and she learned from new mistakes in this book. But even though Desi does make mistakes and misjudgments, she is consistently true to herself, which makes her the quintessential Disney princess, even though she isn't a princess at all. The potential for this character is exciting, and I very much look forward to future installments of the Princess for Hire series. Five stars for both books. 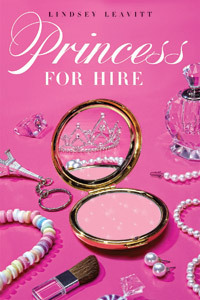 While Princess for Hire is available right now, The Royal Treatment is due out May 3, 2011. So if you haven't read the first one, I recommend buying the first and pre-ordering the second. 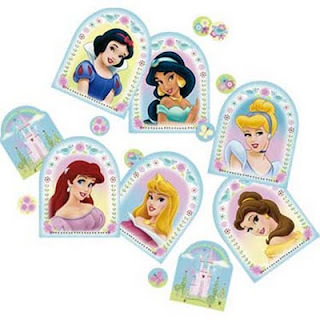 It's perfect timing to get sucked into Desi Bascomb's technomagical world of princesses and duplicity. 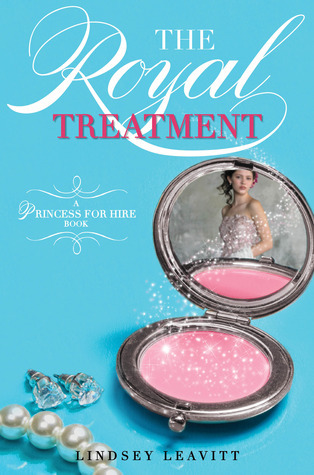 If you'd like to win a copy of Princess for Hire and an advanced reader copy of The Royal Treatment, comment below: which royalty, modern-day or fictional, would you like to be for a day! 1 point for your comment with the answer to the above question. Contest ends April 21, 2011 at 11:59 EST. Max Gladstone told the story of how he got his agent, Weronika Janczuk, on his website. We wanted to find out more about his novel, THREE PARTS DEAD, and his writing process, so we're thrilled he's granted us an interview! "A god has died, and it’s up to Tara, first year associate in the international necromantic firm of Kelethres, Albrecht, and Ao, to bring Him back to life before His city falls apart. Three Parts Dead, Fantasy w/ Steam, 102,000 words"
Lindsay: How are you adjusting to joining the ranks of the agented after so much hard work revising and submitting queries? Max: Not having to query agents any more is amazing. I learned so much great technical stuff from the years I spent querying - how to write a coherent pitch, a one-paragraph summary, a synopsis, how to format my manuscript, how to spend an entire week honing (and stressing over) a three-paragraph email without going too crazy, and so forth. Now the process is over, I feel like I’ve just removed a fifty pound pack after hiking for ten miles. I might as well be flying. Michelle: How did you know Weronika was the agent for you? Max: I’m one of those infuriating guys who, if you leave him alone in your living room for five minutes, will be full of questions about the books on your shelf when you return: “What did you think of X?” “I see you like Z - have you ever read W?” I also have strong opinions about books: if I encounter a person who hasn’t read, say, the Chronicles of Lymond, or The Hero and the Crown, or Lord of Light, or Hyperion, or Steinbeck’s Acts of King Arthur and His Noble Knights, and likes those sorts of books in general, I will spend as much time as I am allowed singing their praises. I’ll send the poor unsuspecting victim fleeing my lair with an armful and a half of books. Weronika has an excellent page on her website that lists the books she likes, why she likes them, and what she’s looking for in those genres. Browsing her site, I learned that we have very similar tastes - some of the books I’ve already mentioned, along with Dune, The Big Sleep, Bel Canto, and a bunch of others. I thought, well, I write the kind of books I like to read, and Weronika likes the same kind of books - wouldn’t it be awesome if she’d represent me? Kelly: Is this the first novel you’ve written? What else have you written before this? Max: Three Parts Dead is, depending on how you count, my fourth or fifth novel. In grade school and middle school I wrote a number of novellas, and when I was 17 I wrote a 200,000 mammoth story about the apocalypse, based on characters and a world some friends and I had created together. My first standalone novel, a murder mystery with a thriller edge to it, I wrote back in college, and I wrote three books while I was living in China from 2006 to 2008 - a madcap science fantasy sort of thing about some slacker gods trying to break into Hamlet’s castle at the center of the universe, a literary novel about expats in China with martial arts action thrown in for good measure, and another thriller about the quest for Genghis Khan’s tomb. Michelle: What’s next for you? Revisions, submissions, new project? Max: Yes, yes, yes, as Brad Pitt said in the trailer for Inglorious Basterds. I’m on the final revision stretch for Three Parts Dead with Weronika, after which we go on submission. Meanwhile, I’m overhauling sections of the novel I wrote after Three Parts Dead, set in the same world. After that’s done, I have an immense waiting list for new projects, which I might or might not consult before deciding to do something cool. Katrina: Where did the idea of a dying god come from? I returned from China in August 2008, just in time to watch the financial world crumble. The universe stopped moving, and nobody understood why, except for a handful of experts who couldn’t come to a consensus as to how to stop it. Human beings were being crushed, destroyed, eviscerated by these immense, immaterial powers they could barely comprehend. I was job hunting at the time, and all around me I saw schools, companies, non-profits, governments, shrivel to husks for lack of cash. These entities that can build bridges, destroy countries on the other side of the world, summon people back from the edge of death, bring tomatoes from one side of the country to another before they spoil - they trembled, and many of them died. It wasn’t a great leap from the thought of organizations and governments as beings to the thought of them as something akin to a pantheon of gods: each one supported by a clergy, by sacrifices of labor and work, and by faith. My girlfriend (who’s now my wife) was in her first year at Harvard Law School during the crisis, and many of her professors were called away to advise the government and shepherd companies through Chapter 11. If a company or a government is something like a god, then bankruptcy is something like death - which means that restructuring is akin to ripping the god open, rewiring bits and pieces Frankenstein style, sewing the whole thing together and hooking it up to the lightning generator. Lawyers, these professionals who get their power from massive red-leather-bound books replete with Latin terms and references to long-dead masters, and who take classes with names like “Remedies” and “Contracts” and “Secured Transactions,” began to look a lot like wizards to me. Once I had necromantic law firms staffed by wizards wearing pin-striped suits, the book started to write itself. Don’t get me wrong - Three Parts Dead isn’t a roman a clef, characters and situations have no one-to-one correspondences - but these ideas sparked the engine of the rest of the book. Katrina: Did you know how it would end when you started writing, or was it a story that evolved as you wrote it? Max: I began with a few scenes in mind, and once I’d written a few thousand words or so I retreated to spin out potential plotlines, endings, resolutions. Once in a while, as I wrote and edited, something would happen that I didn’t expect, but worked - or something that I thought would work, didn’t. Some major elements of the story I knew from the very beginning, and others happened as I moved along. Kelly: Your book sounds like quite an epic. Did you plan for that length, or did the story grow and build? Do you have other books planned for this same world? I have another book written in this world, and there’s a lot more that I could write, if people want to read it. Katrina: If your agent Weronika were a god/goddess, which one would she be and why? Max: It’s dangerous to compare people with gods that are actively worshipped, but in my life at the moment, Weronika’s playing the role of Ganesha, the elephant-headed Lord of Beginnings and Remover of Obstacles. Ganesha’s also the scribe to whom Sri Veda Vyasa dictated the Mahabaratha, so he’s a great friend to writers and poets. Katrina: Who are your greatest literary influences? If you could meet one of them, who would it be and where would you set up the date? Max: Roger Zelazny has been a consistent and long-standing influence. I love his work - I read Lord of Light fifteen or sixteen times from grade school to high school, discovering new layers of humor, drama, action, pathos, insight, and romance on each pass. To this day, whenever I visit a used book store (many of Zelazny’s books are sadly out of print) I head straight for the ‘Z’ section. I’ve amassed a large collection of his books, and am truly grateful to NESFA for publishing a six volume omnibus of his short fiction, poetry, and essays. Other immense influences include Dorothy Dunnett, whose Chronicles of Lymond may be the Platonic form of historical fiction; Dan Simmons, whose Hyperion Cantos pushes space opera to its limits and beyond, and who introduced me to John Keats; John Crowley, who in addition to writing the amazing Little, Big, is a wonderful teacher and a kind friend; Robin McKinley, Frank Herbert, Terry Pratchett, and a handful of others. Recently, I’ve been reading more literary fiction, and John Steinbeck and Mikhail Bulgakov have joined the crew. If I can wish for the impossible - I would have loved to meet Zelazny. As for what we’d do... He fenced, and so do I (though I’m very much out of practice) so maybe a quick bout or two, then coffee and conversation, followed by an evening of gaming - I learned a few years back that he played tabletop roleplaying games (you know, the Dungeons & Dragons/GURPS/Vampire: The Masquerade type games), and I would love to see the kind of madness he would come up with given a system like Spirit of the Century or Spycraft. A big THANK YOU to Max for answering all our questions. We wish you all kinds of success! Say hi to him in the comments, and make sure to check out his website and Weronika's for more of their news. 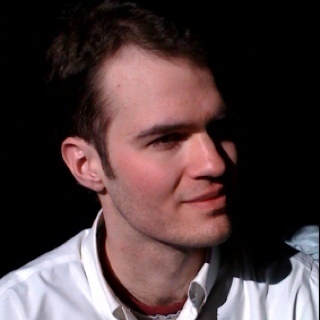 UPDATE 8/1/11: Max Gladstone has a two-book publishing deal for THREE PARTS DEAD and companion novel with TOR! Congratulations, Max! We knew it would happen! Every human being has exactly the same amount of time, and yet consider the output of Robert Louis Stevenson, John Peabody Harrington, Isaac Asimov, Ray Bradbury, William Goldman, Neil Simon, Joyce Carol Oates, Agatha Christie, and John Gardner. How did they accomplish what they have? They weren't deflected from their priorities by activities of lesser importance. The work continues, even though everything else may have to give. They know that their greatest resource is themselves. Wasting time is wasting themselves. When people ask them, "Where do you find the time?" they wonder, "Where do you lose it?" I am a stay-at-home mom with two kids who are now both in school full time. I know I have the hours in the day to do everything I want (most of the time). So I should be accomplishing a lot, right? I mean, I should be churning out a new novel every other month and my house should always be spotless, shouldn't it? So why is everything, including my novels, laying around half done? Honestly, I have no idea. It's like spending $100 out shopping and having nothing to show for it. I will admit, that despite my best intentions, I often find myself during my child free hours, simply staring off into space, or cruising the blogs and tweets, or cuddled up on the couch with some hot coco and one of the many shows I've recorded over the week but haven't gotten around to watching. Often, even writing just sounds like too much work and all I want to do is vegetate. And I really need to stop beating myself up over that. 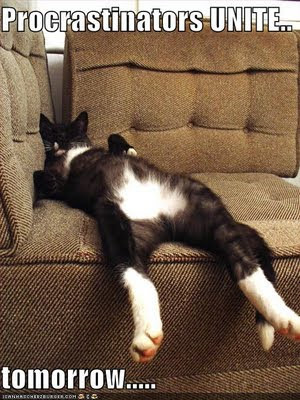 Heck, everyone needs a break...especially stay at home moms :D But, I could be managing my time better. And since I have several projects that I really REALLY want to get done in the next month or so, I have put myself on a schedule that should, if I follow it, allow me to accomplish what I want to in my personal endeavors, and still enable me to take care of my home and family in the way that I want. I write best when I am alone and it is quiet, usually in the mornings...but I have also discovered that if I get all the house chores done first thing in the morning, my day goes much smoother. I seem to have more time to do everything else, and I am much less stressed going about the rest of my day. So I have decided to sacrifice a bit of my "me" time every morning to get the things done around the house that need doing. If I can stay on top of things, the chores should only take an hour or so a day...which leaves me plenty of time to squeeze in a few miles at the track, run all my errands and still have time to write or watch tv or just stare off into space until my children come home. So, that is my game plan :D I will manage my time wisely so that I can fit everything into my day that I need, and want, to do. Does anyone else have a hard time managing their time? Do you find yourself playing online or doing something else when you should be applying those fingers to the keyboard? I love books. You love books. We all love books otherwise we wouldn't be hunched up in front of our computers for a billion hours writing. We also love to read them, recommend them to our friends and family... or to anyone who'll listen to us (I tend to do this in the bookshop on a weekly basis). With that in mind, you may have noticed a new blog link on here. Yep, under our own blogs is a little book blog called Afterglow Book Reviews. What is it? Remember the feeling when you close the back cover on a book that spoke to you? How you put it down and sat back feeling amazed, traumatized, bewildered, and somehow changed? That's the afterglow. 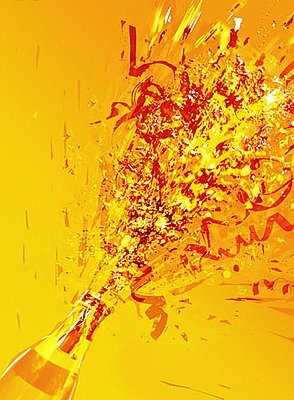 Afterglow Book Reviews highlight our favourite books, and reviews are posted in the midst of the afterglow. This makes us more like book enablers than reviewers, but we're okay with that. And we'd love you to be a part of it. How you ask? We are looking for reviewers to join the Afterglow family. If you are interested then please contact Katrina at katrina (dot) lantz (at) gmail (dot) com. The books reviewed can come from any decade and any fiction genre (memoirs okay). The only requirements: 1) read a lot and 2) love books. Simple as that. Raise your hand if you've researched agents and/or editors. Now raise your hand if you've read the following words: "I am drawn to/interested in/looking for strong female protagonists." Now raise your hand again if you are confused. Why am I confused, you ask? Well, to me, it feels like saying "strong female protagonists" is a category of its own. Like there's only one way of being a strong female protagonist. Personally, I find this term to be a lot more complex than that. To me, there are several ways of being strong and female and a protagonist, all at the same time. That's why I'm letting you take over today. I want to hear (or... you know... read...) what you have to say. What makes a female protagonist strong? Let me know in the comments! Confession: I do believe Bella is strong. Or strong-ish. You know how some people look at super models in magazines or on billboards after all their revisions and touch-ups and think, "I'll never look like that!" and then they go about beating themselves up with eating disorders and negative self talk?? Well, writers can fall into that same trap. We all know we should be reading the genre in which we're writing. It helps us see what's out there in the market and how western steampunk generally handles anachronistic technology, what color the rivets on that cow-bot should be, etc. It's important to read published and widely successful novels in your genre. I've realized lately it's easy for me to read New York Times bestsellers and feel like the misshapen, pimply girl I sometimes felt like after flipping through the pages of Cosmo. So I just wanted to remind everyone, including myself, that your first draft is not going to shine like the umpteenth draft of a published author. Remember that the amazing published authors you read have had a long list of people read and criticize their work while it was in ugly preteen phase. Family members, critique partners, beta readers, their agents, and then editors (with whom it goes through a few more rounds of edits before it's actually published). We're talking about major airbrushing here. Through hard work and revisions, we can improve that first draft... a lot. But it's not going to happen overnight any more than acne is cured overnight. So today's public service announcement? Be patient with yourself. Be patient with your book. Ugly ducklings can become swans, and the magic is in revision. Some of the posts around the blogosphere suggest fans are ready to light the torches and sign the petitions in the "Edward Cullen has been cast" circa 2008 style. Why? The Hunger Games male leads have been cast. Amparo did an awesome post yesterday about the casting of Liam Hemsworth and Josh Hutcherson as Gale and Peeta from The Hunger Games. Check it out here. And she got me thinking about books -V- movies. Casting choices for popular books are hard. No, they probably seem impossible. 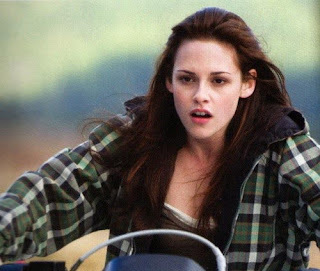 Three or four people have to see hundreds of actors and actresses to embody the role millions of people have read, love, hated or fought over with T-shirts proclaiming their love (Team Edward -V- Team Jacob anyone?). The problem is that one person will never match the image of a character millions of people have created in their heads. The author gives us the tools to show their personalities, looks and voice, but I can bet the Edward, Peeta, and Gale I have in my head are nothing like you imagine them. And, for me, book Edward doesn't look like Robert Pattinson... but he is movie Edward. And that's my point -- the movie is the movie. The book is the book (and I do love The Hunger Games series). Everyone is entitled to their own opinion, but I'm interested to see how these casting choices play out. So long as there is something to embody the characters -- and they don't take huge liberties with the story -- I'm happy. I'll give 'em a shot. And Suzanne Collins is happy.... and she wrote the books! Hunger Games author Suzanne Collins is also thrilled with Hutcherson's portrayal of Peeta. When asked to respond to the casting news, she had nothing but praise. "I was fortunate enough to be in the room with Gary Ross when Josh came in to audition," Collins said. "Three lines into the read I knew he'd be fantastic. Josh totally captured Peeta's temperament, his sense of humor and his facility for language. I'm thrilled to have him aboard." And, hey, there is always hair dye and contact lenses -- it worked for KStew, right? It's amazing what Photshop can do, right? Mystery Agent Revealed: Vickie Motter! Vickie Motter from Andrea Hurst & Associates Literary!! Vickie Motter, literary agent, has a BA in English Literature from Western Washington University. She started as an intern fresh out of college and, with her deep-seeded love of books, quickly worked up to her dream of becoming an agent. 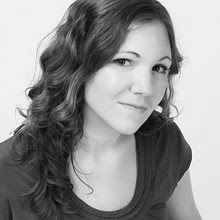 She enjoys the opportunity of working closely with her authors to help bring a book to life. Vickie is looking for new and previously published authors dedicated to continuously developing their craft and writing poignant nonfiction or marketable fiction. She loves all things weird, fantastical, morbid, and romantic. She’s always reading and looking for books that transport her to new lands and allow the imagination to run rampant. She has a special love of unique plots, dark themes, strong characters, an engaging voice, and witty humor. Here's what Vickie had to say about her picks! Pitch: Created to rebuild damaged and missing pathways in people with brain injuries, the virtual environment VEX carries heavy consequences for perfectly healthy sixteen-year-old Tana when she becomes addicted to it and discovers an entity living there is preparing to download itself into her weakening body, killing her and taking over her life. When David chooses Olivia's stepsister over her, Olivia is heartbroken and makes a deal to become a succubus in order to steal him back. On twin sky planets in the far future, young pilots known as Dogs of War are bred in facilities called Kennels to fight each time their planets swing into close orbit. In a dystopian future where humans are gods, a shy teenager exploited by the government discovers the awful charade by which writers seem to create portals to other worlds. If Carissa’s oppressive parents weren’t paying her boyfriend to be her bodyguard, moving to New Orleans for art school would have been her perfect escape. CONGRATS to the winners!! Please send your materials to vickie@andreahurst.com and include OPERATION AWESOME CONTEST WINNER in the subject line of your message. We asked Vickie a bit about herself, and here are her awesome answers!! 1) Your blog, Navigating the Slush Pile, features so many helpful posts and reviews for writers! How did the decision of starting a book-and-writing related blog come about? I started it while I was still an intern, and I wanted to share the new things I learned. It was also my experiment (I'm more technology stunted than you can imagine) to help me explore the online community; I joined Twitter at the same time to prove that it isn't that hard and so I could give advice from personal experience. The main goal of my blog is not about showing how intelligent I am, but rather how much we can all learn. I'll never be done learning about this business, and I hope the day never comes that I stopped learning something. 2) You have a (fantastic) list of your favorite YA books on your blog, including The Hunger Games, Thirteen Reasons Why, and The Body Finder. Besides the writing, what about those books drew you in? Two things: Voice and Uniqueness. The themes and subjects of these books really aren't all that new, but the way in which they are presented, are. For example, Thirteen Reasons Why is about a girl who commits suicide. There are plenty of books out there on that topic. But we're drawn into her story from another perspective and we get to know two very different, but equally engaging, voices. 3) Any tips for writers struggling with their one-line pitches? It's all about extracting the most interesting aspect of your ms--this can be a concept or the main action/struggle or unique character. But try them out on others, speed pitch agents and other writers at conferences or in online communities, and gage their responses. That's a huge list. TV I enjoy American Idol, NCIS, and Off the Map. Movies are between Star Wars, Braveheart, and Stranger than Fiction. You'll notice that these aren't anything like my reading list. Fruit. Or saltine crackers. I'm actually allergic to cane sugar, so my drawer of guilty snacks looks a little different. 6) Do you have any exciting agency/client news to share? My clients are amazing! Is that really news? Probably not, but I feel compelled to share. The best thing about being an agent is the writers I get to work with. Check out their sites. Thank you SO MUCH to Vickie Motter for being our April Mystery Agent! And thanks to everyone who entered! Stay tuned for even more contests and giveaways! !